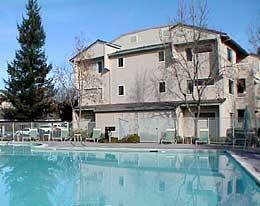 Are You Looking for San Jose Corporate Housing? If you are looking for San Jose corporate housing, you need look no further than Key Housing Connections. San Jose is a very large city – the third largest in California – with over 1 million inhabitants. It is also the capital of Silicon Valley which unfortunately makes corporate housing hard to find in the city and surrounds because very many people come here for short term work and also want corporate housing. However, with our vast quantity of connections in the right places, you will be glad to learn that at Key Housing we have a selection of San Jose corporate housing available. In fact, we probably have more properties to offer than any other short term rental business. We can provide one bedroom corporate suites, two bedroom corporate apartments, and three bedroom corporate rentals. We also have available pet-friendly corporate apartments in the city. Corporate housing is by far a better choice than living in a cramped hotel bedroom. You can live in corporate housing at least as well as you do at home, and in many cases considerably better with the wide range of features that we can provide. Housekeeping services are available, along with access to swimming pools, gyms, and hot tubs. Designer furnishings and fully equipped kitchens are offered in most properties along with high speed internet, cable television, and easy parking. When you are not working, there are plenty of things to do in and around San Jose. A visit to the Winchester Mystery House is one of the off-beat places to spend an hour or two. It belonged to Sarah Winchester who was the widow of William Winchester of rifle fame. When he died she started building this strange house and rumor has it that construction was still going on 38 years later when she herself died. The house is a maze of rooms and alcoves with no apparent thought or plan behind them. Another interesting place is the Rosicrucian Egyptian Museum which is built in the style of the ancient Egyptians and contains the largest number of ancient Egyptian artifacts in the west of the US, including a stone statue of Cleopatra. For a bit of peace and quiet, the Municipal Rose Garden is well worth a visit. Set in over 5 acres of land that used to be a prune orchard, the garden has over 3,500 plants with 180 different varieties of rose. There are plenty of other things to do and see in San Jose, but first you need to contact us for your San Jose corporate housing requirements. We will provide you with a customized housing solution that meets your budget and your requirements for the length of your stay. This entry was posted in Corporate Housing and tagged San Jose, San Jose Corporate Housing, San Jose Short Term Rental on May 7, 2018 by Lee McDonald.